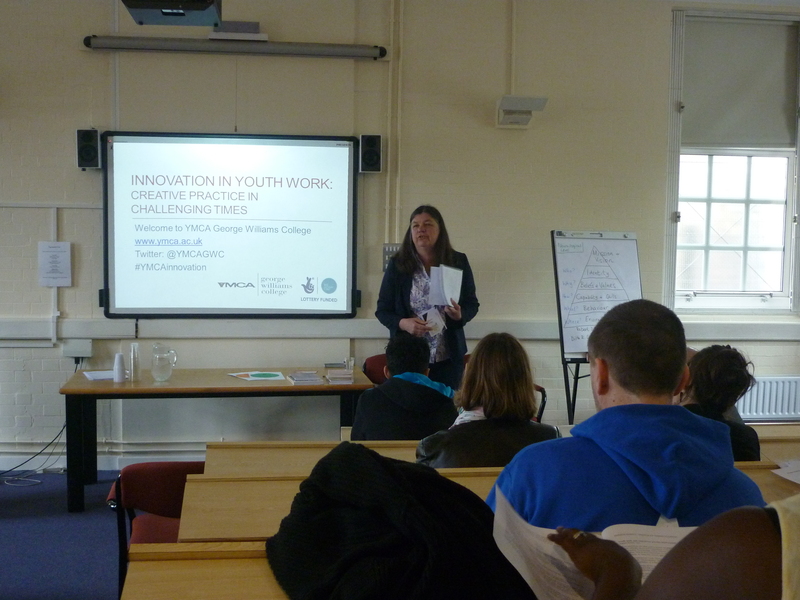 Three of our supporters, Malcolm Ball, Tania de St Croix and Louise Doherty, ran a workshop on ‘Radical Youth Work?’ at the Innovation in Youth Work: Creative Practice in Challenging Times conference held on 13th May 2014 at YMCA George Williams. To give you a feel of a challenging and wide-ranging discussion, involving over 30 participants, here are some of the comments and questions raised. Open access youth work has been nibbled away at. Church worker: ‘if I told them I’d come to this workshop they might cry!’ – not necessarily much more freedom or opportunity for being radical in faith based youth work. What is being radical? Creating personal relationships with young people and youth workers – this should not need to be radical, but this is how quickly youth work changes – what is radical changes as the context changes. Need to be creative. What is being radical? Is it being different? Challenging the status quo? So what radical is changes as the status quo moves more to the right. What is being radical? Participatory and child centred, putting the time in to listen to the voices of children – again, this is not radical, it’s youth work! What has changed in the core essence of youth work that things that are just youth work are now seen as radical in some way, we have to fight to do them? How helpful is it to use / claim the word radical? If the word radical is seen by others as a dirty word it won’t take us very far. Words that allow / enable us to change: radical, resistance, struggle – how useful are these? We are moving towards a world where problems are seen as individual not social / societal. How can me and my colleagues radicalise ourselves? Can we challenge ourselves and others to make tick boxes more relevant – so that they have come from us, rather than being imposed on us from elsewhere? Is part of being radical at the moment to make our work not radical, to make it normal? Is there more scope in the statutory or voluntary sector to be radical, or can these sectors be so neatly divided now? Now is the moment to be brave as youth workers. One of the biggest challenges is funding for core costs (in voluntary sector) – we need funding but we dislike tick boxes – sometimes we spend too much time navel gazing about tick boxes when we should find innovative ways of playing the game of impact measurement and accreditation. Let’s not focus on what we’re against, let’s be positive – being able to say we (youth workers) are amazing and why we are amazing! Being radical in the statutory sector involves resistance against abysmal cuts – fighting from within. Voluntary organisations – becoming more like businesses – being a trouble maker within this? Thinking about how we do things differently, if we still have space to do things differently at all. Think about what we do to challenge, what language we use, moments when the funders / the managers are not there, challenge the right to manage. Thanks to Tania for the notes. Next Back to school for some of the NEETS: but for what sort of learning?